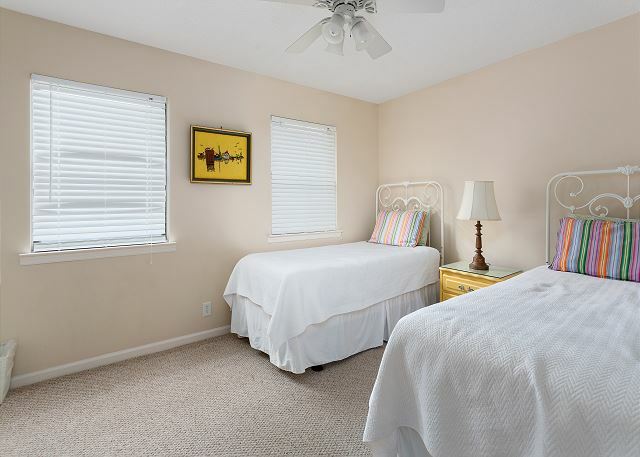 Real Escapes Properties is pleased to offer this two bedroom, one and a half bathroom, two story unit located within walking/biking distance of the village, pier, and the beach.The upstairs level includes the master bedroom with a queen bed, the second bedroom with two twin beds, and a full bathroom. There is a queen sleeper sofa in the living room. 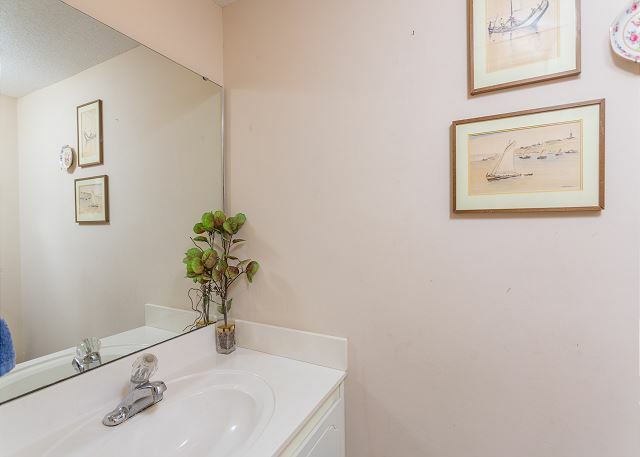 The half bath is directly off of the foyer. 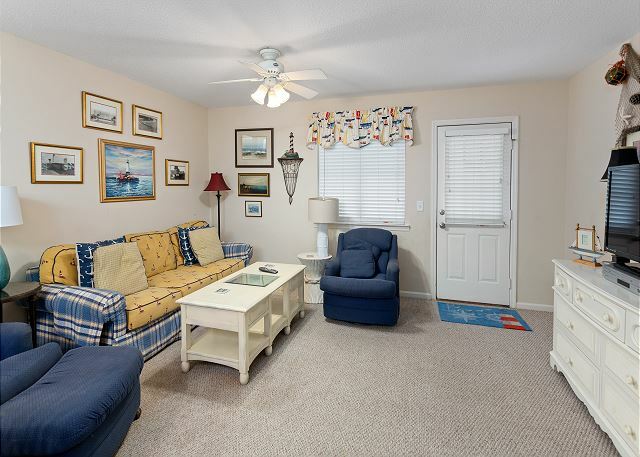 Other amenities include WI-FI, washer/dryer, plus an on-site pool. 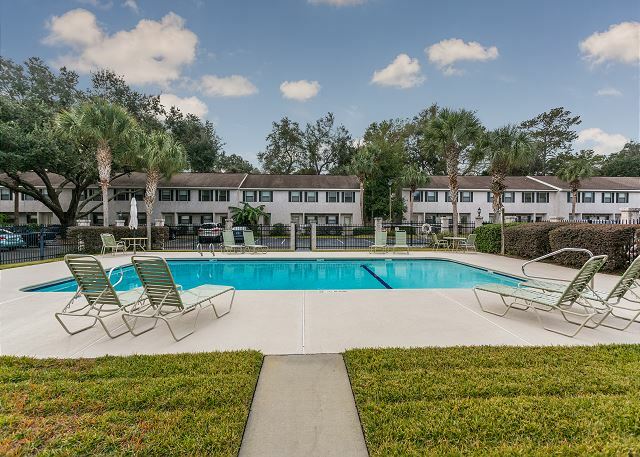 The complex is located just around the corner from a public park with children's playground, plus tennis, basketball, and shuffle board courts. Rental was great. Very clean and well furnished. Nice quiet neighborhood. I was able to rent this condominium for the month of March 2018. I found it clean (much cleaner than other condominiums I'd rented) and the rental company folks were excellent. Thanks to all. 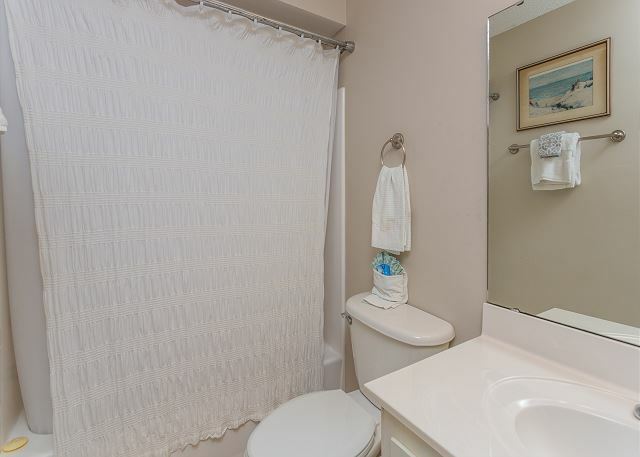 The condo was nice and clean and in a quiet location. The issues we had were the steep steps, the quirky microwave and the very loud dishwasher. 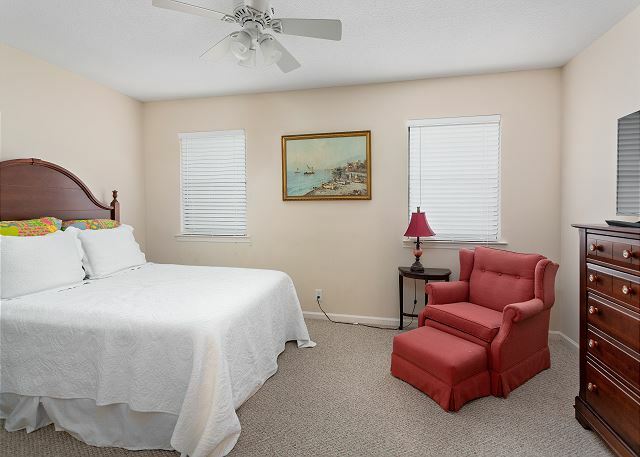 Sofa and queen bed were not the most comfortable but certainly fine for a vacation rental. The staff at rental office were really helpful. The condo was very nice. Well equipped kitchen. Furniture was attractive and in good shape. The bed was very comfortable. It was a short and pleasant walk to the village area, and convenient to both the beach and shopping areas. The condo complex also houses a lot of dogs. Some dog owners did not pick up after their dogs. The lawn area along the side of this end unit was often littered with dog poop, making it undesirable to walk there or even sit outside by the small back patio. That was the only negative about the condo and our experience. 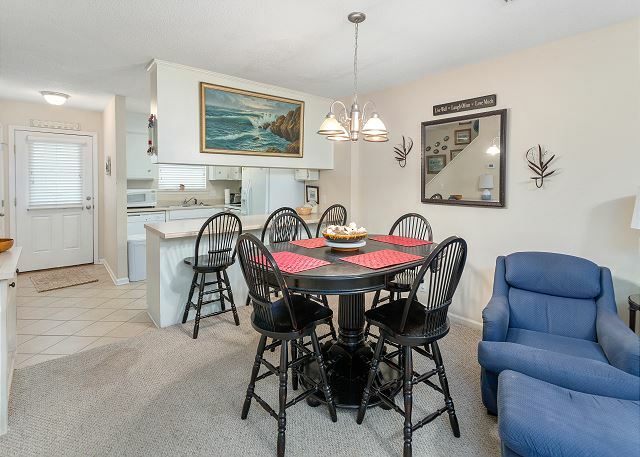 A great central location within walking distance of the village and beaches. Our stay was enjoyable. I thought the housekeeping staff could have done a better job. return air grate at top of stairs was very dirty. I had to laundry the rugs in kitchen area as they were stained on one side and turned over. They also were very worn and several people stumbled on them. Other than that the codo was in good condition and decorated nicely.